The Grey Art Gallery, guardian to the New York University Art Collection, was founded in 1975 and includes approximately 5,000 objects. Abby Weed Grey Collection of Modern Asian and Middle Eastern Art—truly an unparalleled and unique resource—includes some of the largest institutional holdings of Iranian, Indian, and Turkish modern art outside those countries. The collection was donated to NYU in 1975 by Abby Weed Grey. The Grey is particularly strong in its post-war American art, including works by Willem de Kooning, Helen Frankenthaler, Louise Nevelson, Alex Katz, Kenneth Noland, and Ad Reinhardt. Late 19th- and early 20th-century European art is also well represented, with works by Edouard Manet, Joan Mirò, and Pablo Picasso. 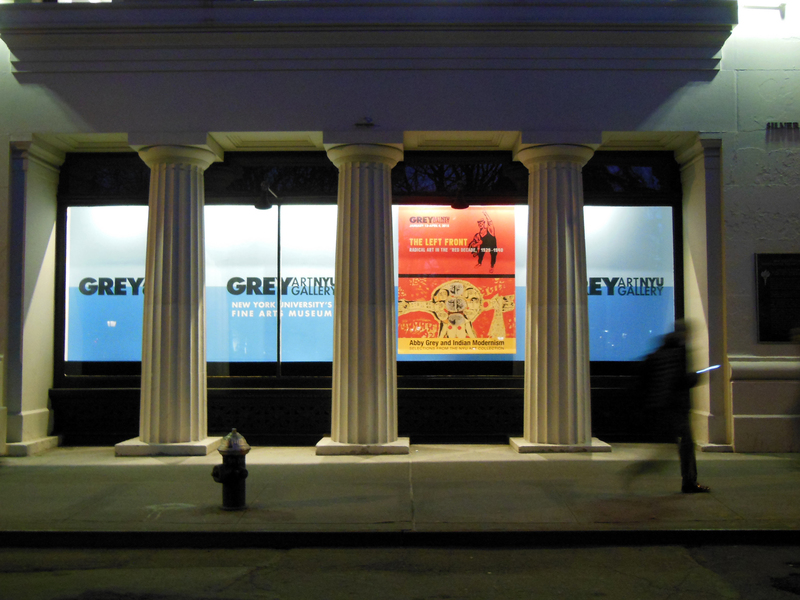 The Grey Art Gallery is New York University’s fine arts museum, located on historic Washington Square Park in New York City’s Greenwich Village. As a university art museum, the Grey Art Gallery functions to collect, preserve, study, document, interpret, and exhibit the evidence of human culture. Donations to the Grey Art Gallery support our mission and help fund our important exhibitions, educational public programming, and scholarly publications. Please click on the button below to support the Grey! Also closed Thanksgiving Weekend, Memorial Day Weekend, and Independence Day. The Grey Art Gallery is closed between exhibitions.